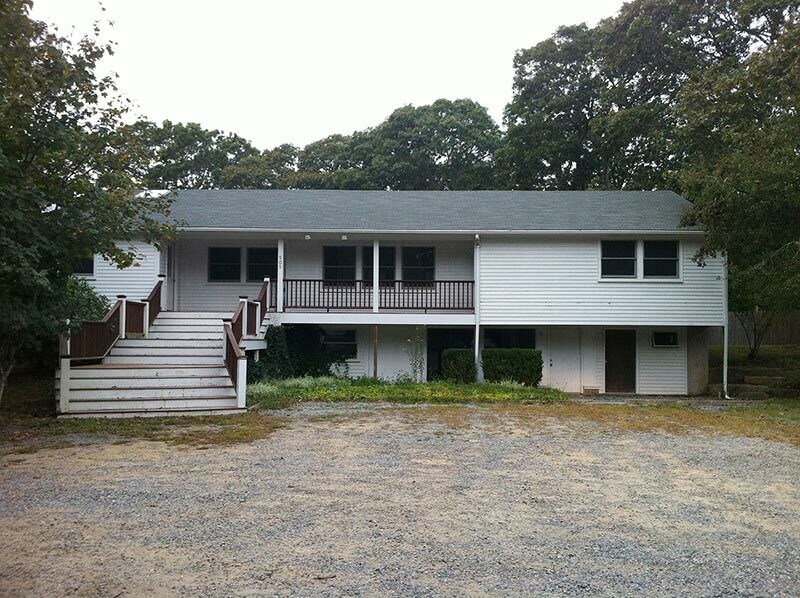 Geoffrey Rose plans to open a medical marijuana dispensary in the former Up-Island Paint and Tool building in West Tisbury, shown in this file photo, under the name Patient Centric MV. On Monday, the Massachusetts Department of Public Health (MDPH) published a list of 158 applicants who are eligible to move on to phase two of an application process that will allow a total of 35 medical marijuana dispensaries statewide to cultivate and market medical marijuana and marijuana infused products. The list includes four businesses that have applied for licenses to operate in Dukes County. Three of the four are local applicants. They are Oak Bluff businessman Mark Wallace and his son, Jordan Wallace, operating as Kingsbury Corporation; Susan Sanford of West Tisbury, operating as Greenleaf Compassion Care; and Our Island Club founders Geoffrey Rose of Vineyard Haven and Jonathan Bernstein of West Tisbury, operating as Patient Centric MV. The fourth applicant is listed as Michael Peters of Greencross MV. There was no additional information for the Greencross application. All of the applicants cleared a background check and demonstrated financial strength, to the tune of $500,000 in start-up capital, plus a non-refundable $1,500 submission fee. Kingsbury Group also got a green light to proceed to phase two with two more applications, both aimed at locations in Barnstable County. DPH culled the 158 approved applicants from a list of 181 applications received by August 22, under the terms of a voter-approved ballot initiative that makes medical marijuana available with a physician’s certification to patients with conditions such as cancer, Parkinson’s disease, AIDS, and other illnesses. The DPH, the agency in charge of the competitive two-part process, eliminated 22 applicants that failed to meet the requirements under phase one. The next step for the 158 applicants will be an informational meeting on Thursday, October 10, at 1 pm, at the Holiday Inn in Somerville. The DPH will answer applicants’ questions. In the first year, there must be one, but no more than five, dispensaries in each of Massachusetts’s 14 counties. Following phase two, the 35 dispensaries that are selected will be required to pay a $50,000 annual fee for registration. There will also be a $500 annual registration fee for each dispensary agent. In phase two, applicants must show that they can comply with all municipal rules, regulations, and bylaws. Mr. Rose and Mr. Bernstein have leased the former Up-Island Paint and Tool building in North Tisbury and plan a dispensary of 2,500 square feet, under the name Patient Centric MV, if the DPH approves their application. Also in West Tisbury, Susan Sanford, president of Vineyard Complementary Medicine, is seeking a change in zoning bylaws that would allow her to operate a licensed marijuana dispensary cultivation facility where her current business is located. Ms. Sanford made the request in a letter to selectmen that asked that the bylaw change be placed on the warrant for an upcoming special town meeting. Ms. Sanford also asked for a special permit for cultivation, in a maximum 1,000-square-foot area. In Oak Bluffs on Thursday, the planning board will host an open discussion at 7 pm at town hall to discuss any possible amendments to the town’s zoning bylaws in preparation for the arrival of a marijuana dispensary. Chairman John Bradford said the meeting will also address questions about possible locations. In a telephone conversation with The Times Wednesday, Mr. Bradford said the planning board will propose three possible locations. The first is near the Martha’s Vineyard Hospital, known as the health care district, which is intended primarily for health care related uses, including hospitals, physicians offices, nursing and convalescent homes, long-term care facilities, laboratories, elder and child care establishments, and substance abuse services, according to Oak Bluffs zoning bylaws. The second possible location is an unspecified property along the Edgartown-Vineyard Haven Road in the area of the Goodale Construction Company and the NSTAR plant. The third location would be off of Holmes Hole Road, Mr. Bradford said.